Stretching the One Income Dollar: What Is a Current Account ? What Is a Current Account ? Without question, money is important to everyone. We need money to for everyday essentials such as food, housing and utilities. However, we also use money to enjoy vacations, movies and dining out. It is important we know we have our money with a bank we can trust, because knowing our money is in good hands allows us one less worry in a sea of many. Most people with standard needs look for a bank that offers current accounts. 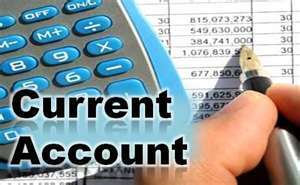 A current account is a British term for a transactional account. This type of account suits the needs of the average citizen. It usually comes with a checkbook; however, with online bill pay and the like most people have little need for a checkbook. Luckily, these accounts also provide a debit card, which just about everyone uses. The days of cash have long since past as everyone pays for just about everything with a debit card. People use debit cards to buy candy bars and pay for hotel stays. They are simply used for everything. With a current account you will be given the opportunity to pay your bills your way, including the above mentioned. However, direct, scheduled withdraws can also be arranged with a current account, so you never miss paying a bill. Finally, some banks that offer current accounts also offer overdraft protection. This kind of protection can be a lifesaver, since overdraft fees can become quite costly. A good bank will give you the opportunity to correct your wrongs within a certain time frame. This can save you a lot of headaches if money ever gets tight.